Not only did they just crush the STM market, but they will also attempt to steal your T65 medicare clients. Oooops......they were never your client anyways. With millions of Americans insured through the Health Insurance Marketplaces, it's clear that Marketplace coverage is a product consumers want and need and an important business for insurers, with several major issuers expanding their Marketplace presence. At the Department of Health and Human Services (HHS), we are constantly monitoring the health of the Marketplace and are always looking to make improvements that benefit both consumers and issuers. Over the past several months, HHS has taken a series of actions to strengthen the Marketplace risk pool, limit upward pressure on rates, and ensure a strong Marketplace for the long term. We believe those actions are bringing positive results. As part of our continued commitment to the long-term strength of the Marketplace, we are announcing new measures to ensure that the Marketplace continues to provide affordable coverage for millions of Americans. During the month of June, HHS will make three announcements regarding our ongoing efforts to: strengthen the risk pool by spreading the costs of care over a diverse mix of enrollees, work with issuers and state Departments of Insurance to improve coverage options, and step up Marketplace outreach, especially to young adults and uninsured families in advance of Open Enrollment 4. · Curbing abuses of short-term plans that exploit gaps in current rules to use medical underwriting to keep some of the healthiest consumers out of the Affordable Care Act’s single risk pool. · Improving the risk adjustment program to more accurately reflect the cost of partial-year enrollees and to incorporate prescription drug utilization data that provide a more complete picture of enrollees’ health status. These improvements will ensure that the program continues to work as intended to compensate issuers with higher-risk enrollees and thereby help issuers sustainably serve all types of consumers. · Helping consumers who turn 65 make the transition to Medicare, so that older consumers are served by the program designed for them and their health needs. · Beginning full implementation of the Special Enrollment Confirmation Process, which ensures that eligible individuals continue to have access to coverage through Special Enrollment Periods (SEPs), but prevents people from misusing the system to enroll in coverage only if they get sick. · Continuing our efforts to reduce data-matching issues (DMIs). CMS outreach, education, and operational improvements have contributed to a sharp reduction in total data matching issues generated and an almost 40 percent year-over-year increase in documents submitted to help resolve income and citizenship and immigration data matching issues. Improving the resolution of DMIs benefits the risk pool because it keeps eligible consumers, often younger and healthier consumers less motivated to overcome obstacles such as extra paperwork, from losing coverage mid-year. Short-term limited duration coverage is health care coverage issued for a short period of time. Because short-term limited duration plans are designed to fill only very short coverage gaps, this coverage is not subject to any of the key rules governing the ACA’s single risk pool: they can be priced based on health status (medically underwritten), can discriminate against consumers with pre-existing conditions, and do not have to cover essential health benefits. Some issuers are now offering short-term limited duration plans to consumers as their primary form of health coverage for periods that last nearly 12 months, allowing them to target only the healthiest consumers while avoiding consumer protections. As highlighted in recent press accounts, by keeping these consumers out of the ACA single risk pool, such abuses of limited duration coverage increase costs for everyone else, and they could have a greater impact over time if allowed to become more widespread. By reducing incentives for issuers to try to design products that attract a disproportionately healthy risk pool, risk adjustment lets them design products that meet the needs of all consumers, protecting consumers’ access to a range of robust options. Updating risk adjustment to more accurately assess every enrollee’s risk makes it more effective in achieving this goal. Earlier this year, CMS made a number of changes to improve the stability, predictability, and accuracy of the risk adjustment program for issuers. These changes include better modeling of costs for preventive services, changes to the data update schedule, and earlier reporting of preliminary risk adjustment data where available. We also published a Risk Adjustment White Paper and hosted a conference on March 31, 2016 to solicit feedback from issuers, consumers, and other stakeholders on additional areas for improvement. Building off the Risk Adjustment White Paper and stakeholder feedback, today we are announcing two additional important changes to risk adjustment that we intend to propose in future rulemaking. First, we intend to propose that, beginning for the 2017 benefit year, the risk adjustment model include an adjustment factor for partial-year enrollees. By more accurately accounting for the costs of short term enrollees in ACA-compliant risk pool, this change will support the Marketplace’s important role as a source of coverage for people who are between jobs, experiencing life transitions, or otherwise need coverage for part of the year. Second, we intend to propose that, beginning for the 2018 benefit year,prescription drug utilization data be incorporated in risk adjustment, as a source of information about individuals’ health status and the severity of their conditions. We are also considering proposing additional changes to the model for 2018 and beyond. The Marketplace serves as an essential backstop for consumers as they transition between different types of coverage over their lifetime. For example, many early retirees access Marketplace coverage until they become eligible for Medicare when they turn 65. But once individuals turn 65, most people should end their Marketplace coverage and switch to Medicare. In fact, if consumers do not enroll in Medicare Part B when they turn 65, they could face financial consequences for years into the future, because they could owe higher Medicare premiums. Meanwhile, the Marketplace is intended to serve consumers who are not Medicare eligible, and continued enrollment by individuals who are eligible for Medicare can raise costs for other consumers. 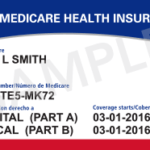 To make sure consumers understand the steps they need to take to move to Medicare, this summer the Marketplace will start contacting enrollees as they near their 65th birthday. This outreach will provide consumers with the information they need to enroll in Medicare if they are eligible and end their Marketplace coverage if they choose to. This builds off the changes we made to the HealthCare.govapplication this year which included new pop ups with reminders for consumers who are about to turn 65 that they may be eligible for Medicare. 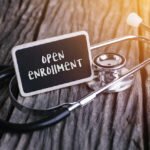 Over the last several months, the Marketplace has taken a number of steps to ensure that Special Enrollment Periods (SEPs) are there for consumers when they need them while avoiding misuse or abuse. We’ve strengthened our rules and clarified our processes for SEPs, so that the people who need to can still easily get coverage, while making it hard for anyone thinking about taking advantage. We also eliminated 7 SEPs, including the SEP for individuals who paid the tax penalty for not having health insurance, contributing to an almost 30 percent year-over-year drop in the number of SEP enrollments during the three months after Open Enrollment. Continuing that work, today we are announcing that, consistent with the process we announced in February, starting June 17 individuals enrolling in coverage through Special Enrollment Periods will be asked to provide certain documents. We are also providing models of the eligibility notices that consumers will receive with the list of documents that people enrolling through a Special Enrollment Period will need to prove their eligibility for their SEP. Consumers should provide the appropriate documents by the deadline listed in their notice to confirm eligibility for a Special Enrollment Period to avoid any disruptions to their coverage. CMS takes very seriously its obligation to ensure that access to coverage and financial assistance are limited to those individuals who are indeed eligible. The Marketplace verifies eligibility for most consumers through electronic trusted data sources, but if consumers’ data cannot be matched electronically we generate a data matching issue to request additional information from enrollees. Consumers who do not provide the necessary information will have their coverage or financial assistance ended or modified. Unfortunately, eligible individuals sometimes lose coverage or financial assistance through the Marketplace during the year because they have trouble finding documents or navigating the data matching process. In addition to the direct impact on consumers, avoidable terminations due to data-matching issues also negatively impact the risk pool, since younger, healthier individuals appear to be less likely to persevere through the data matching process. In fact, in 2015, younger open enrollment consumers who experienced a data matching issue were about a quarter less likely to resolve their problem than older consumers. This year, CMS made a range of improvements to the data matching process to help consumers avoid generating data matching issues in the first place and to help them resolve these issues once generated. More recently, we have also intensified our outreach, and partnered with issuers so that they are reaching out to consumers about data-matching issues as well. These efforts are beginning to pay off, with a sharp reduction in total data-matching issues generated and an almost 40 percent year-over-year increase in the number of documents consumers have submitted to resolve these issues. Continued progress in this area should benefit both directly affected consumers and other consumers who will benefit from a stronger risk pool. Those without a valid SEP reason will be hurt the most. Especially those that call me on Feb 1st. Along with those that are healthy, and at 400-600% FPL. The market always responds, and loopholes will always be found. Sidenote: I haven't sold an STM since 2013 anyways. Wonder if they will also go after the Freedom Life's of the world. It would be wonderful if they end the abusive situations, for sure! I write 1 or 2 STMs a year, but always genuine short-gap situations only. However, CMS knows that an insurer could offer a short-term medical plan, underwritten, with no pre-ex waiting period, and without those silly inside limitations that so many STMs have today. I've often said this. CMS sees the handwriting on the wall! Our country requires insurance (at exorbitant prices), or else you pay a tax penalty. Then they take away an option. What will they say to people who are exempt from the penalty, (because the lowest cost Bronze plan costs more than 8.13% of their MAGI), yet the client is healthy and wants coverage? CMS's article says this is to"
Too bad, CMS. That's called competition. You've put consumers and carriers in this prison, so now you are in it. By the way, did you catch this phrase in CMS's article? They didn't mention all the insurers exiting and the rate spikes, LOL! When is this proposed rule set to be heard \ enacted. I missed that in the article. Secondly, should it be enacted I can see the current marketing push by at least one carrier going up in smoke! Bingo. I am sick of being spammed nearly every day by that particular carrier that STM is the wave of the future. CNBC has an article about it, and I thought these quotes were professionally worded. Bruce Telkamp, co-founder and CEO of AgileHealthInsurance.com,a leading marketplace of short-term plans, said, "We hope that HHS listens to the voice of the consumer during the comment period for the proposed rule and preserves the existing options that short-term plans provide to millions of Americans who missed the Affordable Care Act enrollment period or simply cannot afford government marketplace plans." "It is in the public interest to have a vibrant short-term market rather than have consumers face the substantial financial risks associated with being uninsured," Telkamp said. 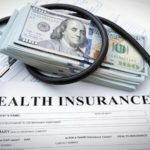 Kev Coleman, head of research and data at the insurance price comparison site HealthPocket.com, said that, "It seems like HHS is very concerned about competition" from short-term plans for Obamacare plans, "and very worried about the 2017 rate hike." Coleman, whose company is owned by the same parent company of AgileHealthInsurance, said, "My question is how consumers are going to react to these proposals." He said the short-term market is relatively small, and largely unknown to many consumers. "The people that are shopping [for short-term plans] are motivated by price," Coleman said. "There's a big price difference between the term market and the ACA market." If HHS sharply limits the amount of time people can have short-term coverage, he said, some consumers will look at the higher premiums and deductibles of Obamacare plans and decided they can't afford them, or would rather not pay the higher prices. "You're eliminating that option" — short-term coverage — "but you're not addressing the consumer issue that drove them into the market," he said of HHS' proposed rule. Coleman added that the irony would be if HHS, which has tried to get more people health coverage, implemented a rule that led some people with short-term coverage to drop out of the health insurance market altogether by limiting their time on the plans. That would mean that they would not be added to, and potentially improving, the risk pools of Obamacare plans. Just fix the negatives, and an insurer could create an STM product that sells like crazy. Furthermore, the ACA prices will be "unaffordable" at more than 8.13% of MAGI for a huge number of people - which releases them from the tax penalty. The price of a fully underwritten STM would be about the same as Pre-ACA policies, or even today's Grandfathered / Grandmothered policies. A lot less expensive than ACA. No wonder HHS is worried. Reminder - I sell 1 or 2 STM's a year. No, I'm not an STM pusher. But I do recognize it as a serious game changer if an insurer made a product that fixed those negatives. Funny. When ACA was first passed, I made a post on this forum about companies simply offering STM for a 12 month period so they can medically underwrite, and here we are. My question is how does CMS have the power to change STM rules when they are not subject to ACA in the first place, and are overseen by each state individually? Any Unlimited Enrollment Platforms this Year? 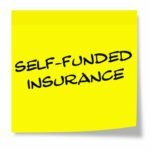 Why Are New Limited Benefit Plans Coming to Market?